Home/Newsworthy/The Goal of Your Life! The Goal of Your Life! In 2002 while playing professional football in the Portuguese island of Madeira, Fernando de Ornelas and his wife Andreina made a decision that literally changed their lives: They gave their hearts and lives to Jesus Christ! 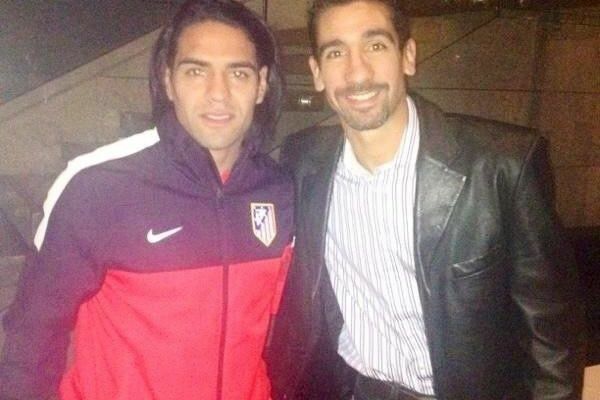 Radamel Falcao and Fernando de Ornelas were together in Manchester recently. - We had tried every thing, including black magic and witchcraft, says Fernando during our coffee chat at an Oslo cafeteria today. - But a football player shared his testimony, and it gripped our hearts. I asked Andreina: «Shall we give our lives to Jesus?» She agreed. And since then we have followed Him radically, says Fernando. Fernando´s football career led him to 37 appearances for Venezuela´s national team, and his professional career included periods with English clubs Crystal Palace and Queens Park Rangers, as well as Glasgow Celtic. in 2005-07, Fernando played for Norwegian elite club Odd Grenland in Skien, and he was reknown for his speed, terrific technique, and voluminous shots! But even more, Fernando was reknown for his wholehearted celebration of his goals by praising Jesus Christ on the football field! When his playing career ended, they returned to Venezuela, but could not get Norway out of their hearts. 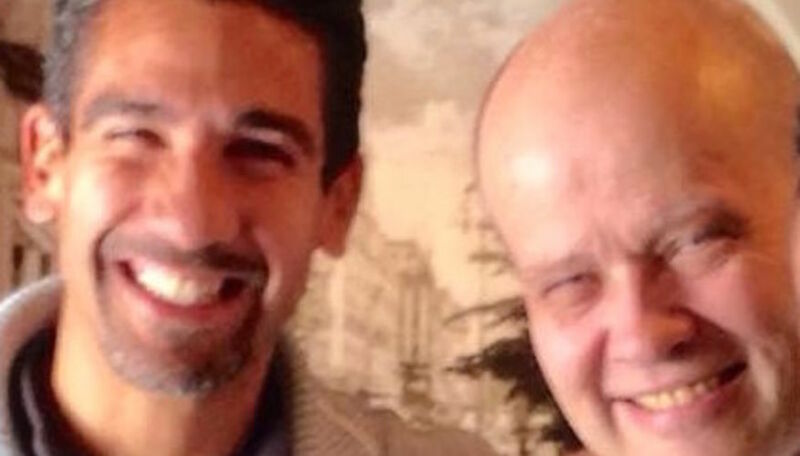 In 2009, they returned to Norway withou any jobs, but learned the language, worked in a kindergarten, and eventally Fernando became a lay youth pastor in an international church in Skien. In 2012, he became the senior pastor of a traditional Mission Covenant church in the same district, and on May 12th this year, he took on the pastorate of Betania Stathelle Pentecostal Church in the Skien area. - We praise God for the opporunitites he has given Andreina, our two kids (eleven and two) and myself. We are serving the Lord radically, and we truly love Norway! says Fernando passionately. in 2012, the Lord spoke to Fernando about starting an evangelistic and discipling ministry to football players. He started the movement «El Gol de tu Vida» («The Goal of Your Life»). Tonight, Fernando is speaking to 30+ young Norwegian football players at the national football stadium in Oslo, Ullevål Stadion. - Norway needs Jesus, including the football players! declares Fernando. His plans are developing for the Jesus football movement that he leads. But they are gaining momentum. Football star Radamel Falcao has opened his heart and hands to Fernando for this mutual passion: Jesus Christ! - God is opening doors for El Gol de tu Vida all the time, he says. - We just remain faithful!